Bolduc signed originally as a free agent with Ottawa before the 1996 season. Bolduc had a good rookie season with 32 catches for 287 yards. After Ottawa folded, Edmonton selected Bolduc in the dispersal draft. Bolduc was released by Edmonton in June, 1998 and signed early in July with Montreal. Following his paying career, Bolduc took to coaching. Bolduc served as the head coach for the University of Sherbrooke for five seasons (2007-11). Bolduc led Sherebrooke to their first ever playoff win in 2010 an was named the Quebec conference coach of the year. 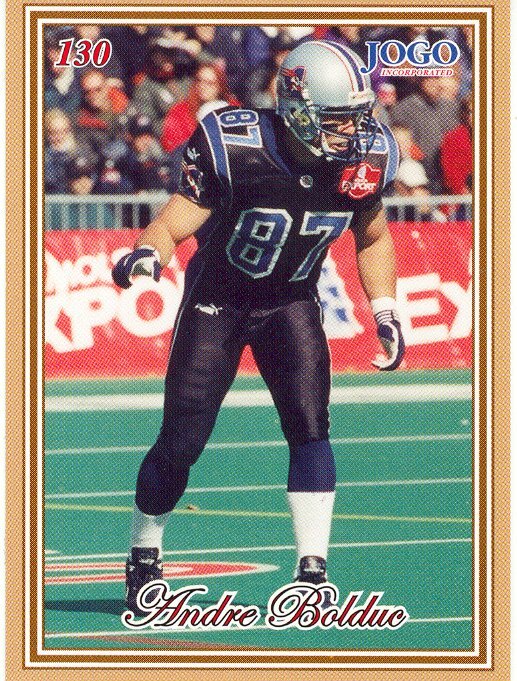 Bolduc joined the Montreal Alouettes in 2014 as an assistant coach.